Elton vom Zauberberg trained German Shepherd Male for sale - ZAUBERBERG! 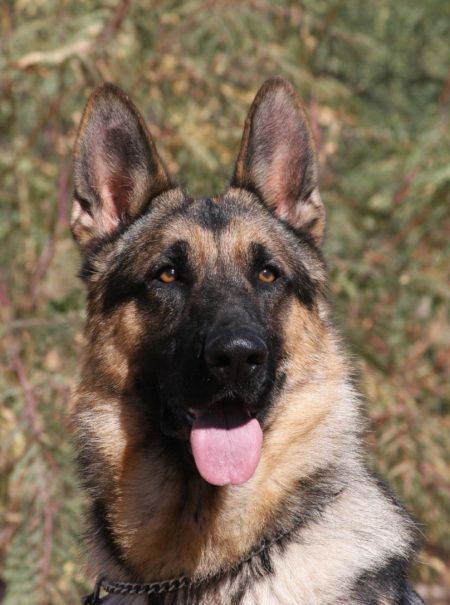 Elton vom Zauberberg trained German Shepherd Male for sale from exclusively West German Bloodlines. He is very social, yet showing naturally protective behaviors instinctively, when someone approaches the property. He lives in the house with us in order to be a well trained house dog and Family Companion after his advanced training is completed. Elton is going everywhere with us and is very well socialized with people, all environments and other animals. This is a rare opportunity to secure the purchase of this awesome German Shepherd male right now! The ongoing training will then be customized to your specific situation and needs! Below are the most recent picture of the now more matured German Shepherd Male Elton vom Zauberberg. © 2018 ZAUBERBERG! - All Rights Reserved.